Syrian Foreign Minister Walid Muallem and his Iranian counterpart Mohammad Javad Zarif discussed the political settlement, nationwide ceasefire and the provision of humanitarian aid in Syria during a meeting in Tehran, Iranian Foreign Ministry said Saturday. MOSCOW (Sputnik) — Russian President Vladimir Putin announced Thursday that the Syrian government and armed opposition groups had reached an agreement on a ceasefire on Syrian territory and on readiness to start peace talks. Russia and Turkey serve as guarantors of the deal, which paves the way for negotiations between the warring parties. 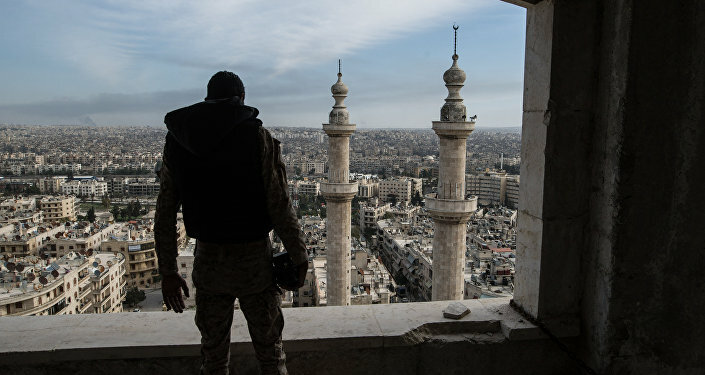 "The detailed negotiations and exchange of views during the meeting focused on the recent developments in Syria, including a sustainable ceasefire, humanitarian assistance, the fight against terrorist groups, as well as the political initiative necessary for negotiations and peace in the country," the ministry said.